I considered many options before selecting these items to offer as wedding photography heirlooms for my clients. RedTree is a team of designers and craftsmen that creates gorgeous, modern heirloom products. In the digital age, the experience of printed photos plays a vital role in family history. Each RedTree product is handmade with close attention to detail using the finest archival materials to ensure a long life. 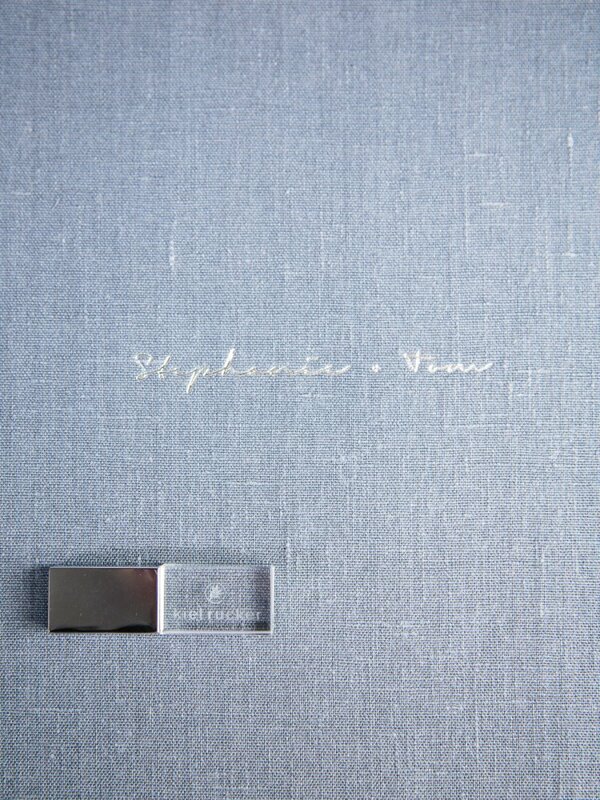 Redtree offers premium linens and Japanese Silks to bring a crisp, modern sophistication to this album. 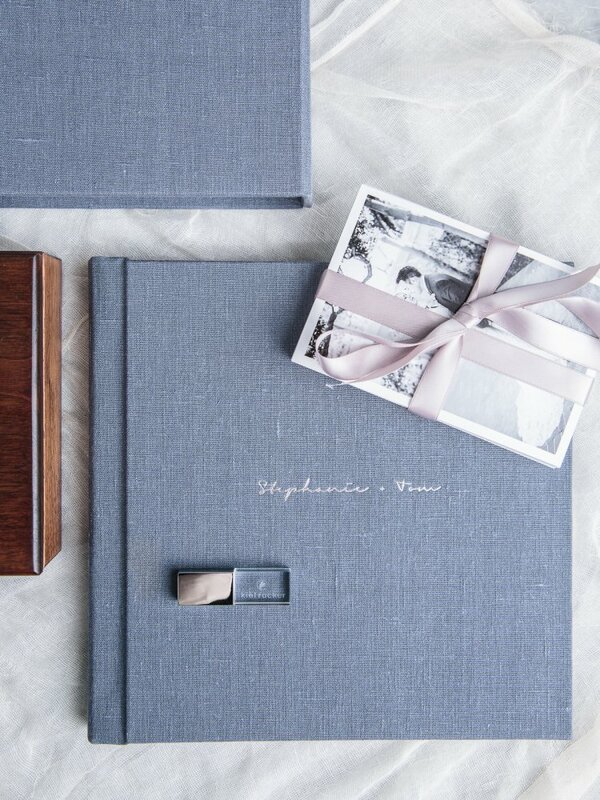 You can choose from a selection of rich colors and patterns, as well as create custom personalization and debossing on both the album and the beautiful heirloom storage box that it will live int for generations to come. After researching many well made, hand-crafted print boxes, I’m extremely proud to introduce the handcrafted proof boxes. These beautiful boxes are handmade in America and each one is a piece of art in itself. They are available in multiple, natural woods and you also have the option to have a your names engraved on the cover – making it a true, one of a kind heirloom to include in your wedding photography package, and to enjoy for generations to come.